Do you agree that one person can change the world for good? If you think so, what if two people teaming together with able and ingenious idea to save hundreds or even thousands of people? That is a very nice thing. Dr. Shuvo Roy and his counterpart, Dr. William Fissell both Ph.D. holders from the University of California and the Vanderbilt University Medical Center are working on a noble course. The two doctors are working towards completing a project of inventing a Bionic Kidney or Bioartificial Kidney. This latest invention is in its last stage. Upon completion and successful tests, it will replace the hundreds of kidney donor-business that are currently prevalent in the world. According to a recent study, only 19 percent or less of the people who seek kidney transplant services finally get a willing donor. The remaining staggering percentage either lives with their kidney complications or even succumbs due to lack of a donor. Dr. Shivo Roy, one of the researchers in this bio-artificial kidney is a bioengineer and Ph.D. holder. Over the years, Shivo is trying to research and invent viable medical equipment that especially biomedical devices. The aim is to ensure he fills the gap that has been left where many patients are unable to find the appropriate devices they are able to reach. The joint research is underway in the University of California in San Francisco where Dr. Roy in charge of the Department of Bioengineering and Therapeutic Sciences (BTS). In 2003, Dr. Roy entered in the list of the World’s 100 Top Young Innovators commonly known as T100. Technology Review, a technology magazine produced by Massachusetts Institute of Technology and Innovation selects the candidates. Twelve months later, in 2004, Dr. Roy received another award, from the NASA Group. The award was touching on the harsh MEMS environment. Crain’s Cleveland Business named Dr. Roy among the Who’s Who in Biotechnology. Two years Cleveland Clinic recognized later Dr. Roy as a Clinical Innovator. 2009- Biotechnology Industry Organization Biotech Humanitarian Award. This award is only given to individuals who are using their biotechnology prowess by innovating biotechnological devices that in turn help improve the lives of other people and the earth in general. 2012 – Outstanding Faculty Mentorship Award. 2012 – Rising Star Award. BayBio Pantheon presented this award to Roy. 2012 – Innovation Pathway 2.0 Award. Food and Health Administration gave Dr. Roy this award in 2012. 2016 – Home Dialyzors United Chris Blagg Award. This latest award is given each year to one guy whose biotechnological innovations in dialysis spur inspiration and leave a mark in the lives of many people. Studies indicate that in some extreme cases, some patients with kidney complications require extra attention. “Such patients require a lot and may undergo several rigorous examinations,” says SPINOFF, an online medical journal. According to the journal, in the event that a patient needs multiple transplants, chances are that the patient will not get all the kidneys they want. In some instances, a patient’s body may reject the donated kidney. In such a case, the patient requires another kidney. It may be very difficult to get two different people donating their kidneys to one patient while there are hundreds in need of the kidney. Dr. Roy says that it is on this that the bio-artificial kidney goes beyond the traditional human kidney. This new invention of the bionic kidney does not require any immunosuppressive therapies, as is the case with traditional kidneys. The second benefit that is in line with the healthcare of the patient is that, with the human kidney to get in line with its new host, several dialysis examinations must be conducted. Several of these excruciating examinations deteriorate the health thus completely change the normal patient lifestyle. What is more is that developing countries have a challenge of medical equipment. A dialysis machine is one of the most expensive medical equipment thus; you will only find a few in each country. With one such machine, many people tend to throng government facilities to get the services. If a patient is lucky, they can find the machine in private-owned facilities. The cost of a dialysis examination is another thing. Most patients who succumb to kidney failures and related complications suffer because they lack the money for medication. With the bioartificial kidney ucsf, there will be no need for a dialysis. This will be a huge money-saving invention that will save thousands of lives once and for all time. Several latest artificial kidney latest news about the developments of Dr. Roys’ innovation continues to spur hope. One major incident is when an online medical journal wrote about the artificial kidney trials 2018. If the latter will happen soon and works successfully, it will indicate that very soon, many patients I need of the kidney transplant will never suffer. One such headline was ‘World’s First Implantable Bio-artificial Kidney to Enter Human Trials by 2017’. According to the National Kidney Foundation, over 100,000 people are in dire need of a kidney transplant. Many of these people have been on the waiting list for a long time. Some of them, according to the foundation, succumb to their complications and dies even before getting the donor. With this latest innovation, the number of patients depending on kidney donors will reduce significantly. 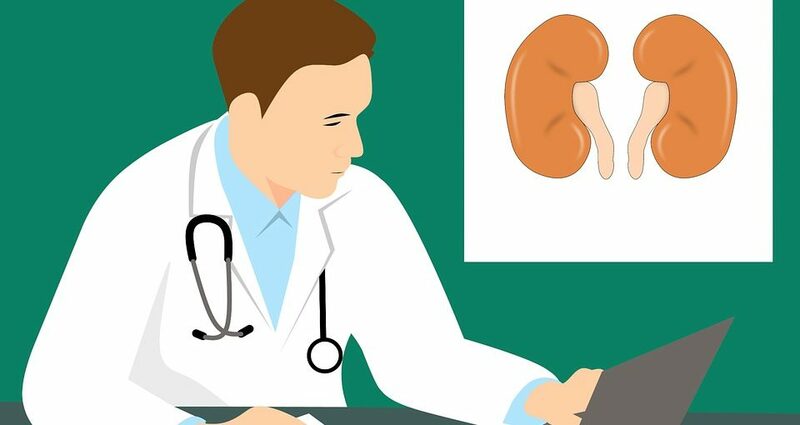 Although the journal agrees that these latest biotechnological innovations spur hope, more than 3,000 new cases of people in need of kidney transplant are added to the 100,000 each year. In normal situations, an average patient will wait for at least three and a half years. If they are finally lucky to get a dialysis, they will undergo several of these tests before they finally get a transplant. The worst part of this process, according to the foundation patients who undergo a dialysis hardly survive more than five years without a transplant. Besides, organs that are retrieved from dead people should be carefully examined in order to ensure that they match with the patient. This process takes longer and it may be painful for other patients. Still price of artificial kidney is not fixed.